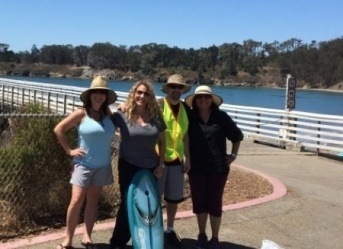 Working with the California Coastal Commission, the ITW Global Tire Repair team was assigned a beach that it would be responsible for throughout 2015. Supplied with bags and gloves, the team routinely cleaned up the beach, picking up trash and recyclables that were littered or washed up from the ocean tides. The facility of 40 was able to deploy five or so volunteers at a time for the Adopt-A-Beach® project. Link to entire story & photos: Adopting a beach in California.